A Virginia native, Deborah (Astin) La Valla has been affiliated with the American Rescue Workers since the late 1970s when her father went to work for them full-time, and their entire family got involved. She has served in various capacities and in different corps over the years, sometimes as a volunteer and sometimes as an employee. Deborah attended Liberty Baptist University, Pennsylvania College of Technology and Bucknell University, achieving an Associate degree in Communications, and a Bachelor’s degree in English and Anthropology. Prior to entering full-time ministry with the American Rescue Workers, she worked in the marketing and advertising field and then held the position as Communications Manager at the First Community Foundation Partnership of Pennsylvania in Williamsport, PA. Deb and her husband, Victor, share a very large family and love to spend time with them when they are not working. The couple also enjoys gardening and learning new things. Deb is hoping to increase time spent with her creative side in 2017. In 2004, Victor La Valla, a New York native, was one-third owner of a prominent printing company called Integrity Graphics in Connecticut. A graduate of Albertus Magnus with a Bachelor of Science degree in Business Management, he has spent over 30 years in the printing business, but in 2005 he accepted God’s call into full-time ministry with the American Rescue Workers. He and his wife, Deborah, spent 2006 going through training at the various corps and assisting with disaster relief efforts for the organization. Part of their training included a six-week stay at the Hollidaysburg facility as well. Victor received his pastoral ordination through the American Rescue Workers, and the couple also studied through the American Association of Christian Counselors, receiving ordinations through one of their affiliates as well. 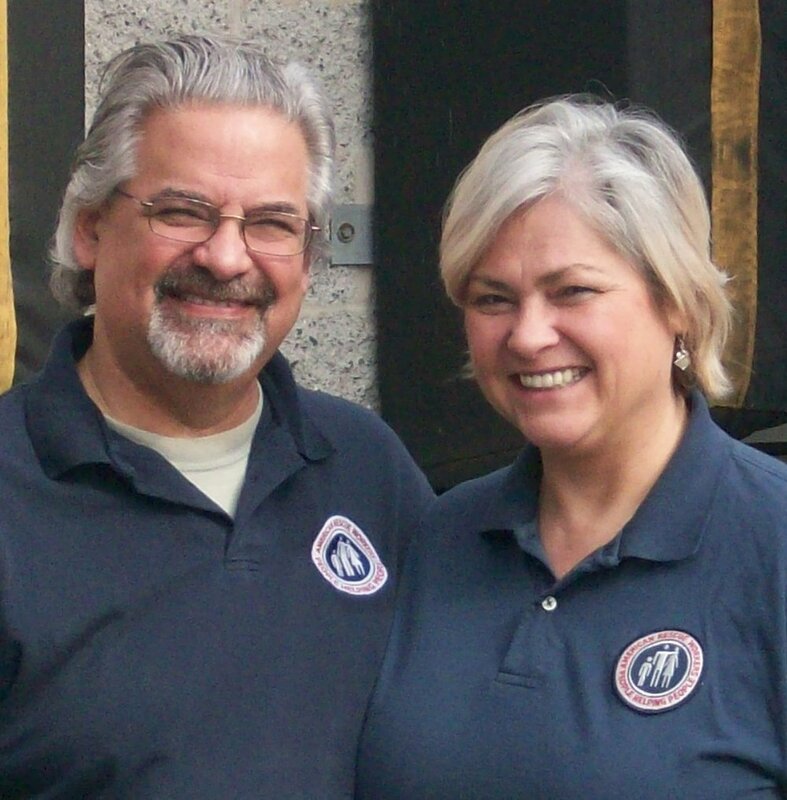 In 2007, the couple was commissioned to Canton, OH to oversee the American Rescue Workers’ shelters and programs there. In 2015, the couple was reappointed to Hollidaysburg, PA to serve as directors. As they enter their third year in the Blair County community, the couple looks forward to many more wonderful experiences. 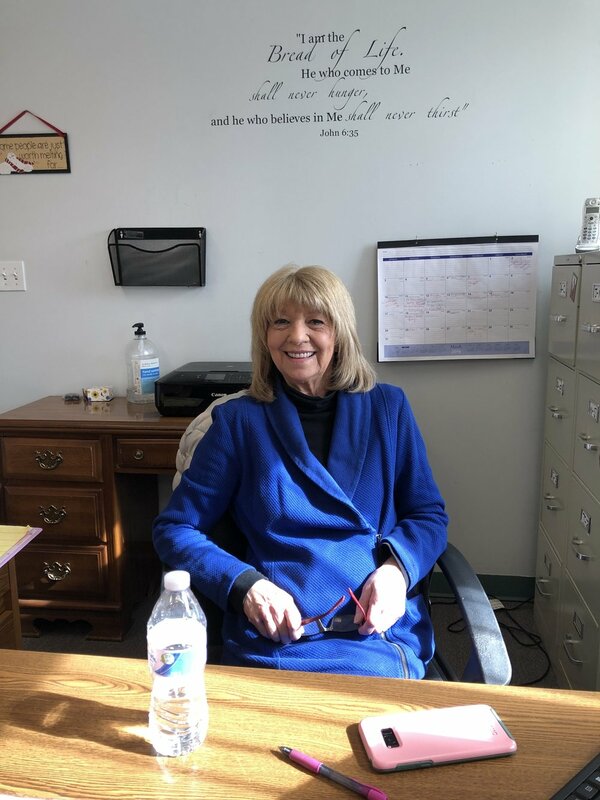 Sue was hired as Office Manager in November, 2017, during the very busy holiday season. She quickly learned how hectic operating the food pantry and running the office can be when the CHRISTmas4Kids Program and the Secret Santa for Seniors Program are happening. Sue has learned a great deal in a short amount of time, and she looks forward to a wonderful year in her new position here. When not working, she takes care of her fur babies at home, and assist her mother, Norma. Bill is the Warehouse and Pantry Supervisor for the American Rescue Workers. He is also the driver of the ARW truck for donation pick-up and food deliveries. Bill is also responsible for putting together starter boxes for people that were once homeless and are getting back on their feet. Bill enjoys long walks on the beach and a nice ride on his bike, and just letting the wind blow through his hair. He is a jack of all trades, ranging from working on cars and trucks, to various forms of construction. Bill is also an avid outdoorsman and loves fishing and hunting. Whether it's the excitement of four-wheeling or just hanging out around a campfire, Bill is a very easy-going individual and fun to be around.